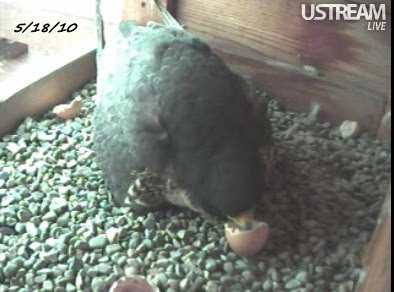 ~Peregrine Place~: ~Eggs two Eyasses today in Rochester! Congrats! 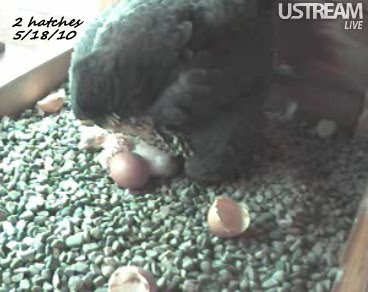 Beauty and Archer hatch two of their three eggs this afternoon! UB kids are running out of camera range on their second-week birthday so I couldn't catch them for a portrait!